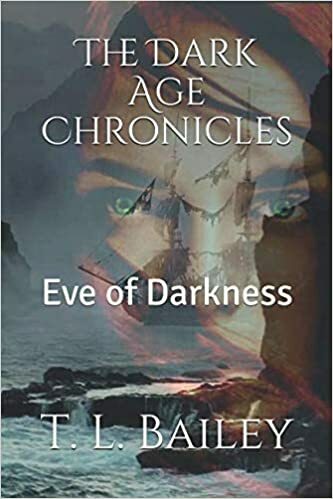 The Dark Age Chronicles is a genre-crossing novel with elements of a fantasy, horror, and adventure as well. Did you start writing with this in mind, or did this happen organically as you were writing? Well, I knew that I wanted to have the book set in the time of pirates. I saw “Treasure Island” when I was twelve years old and after that I was in love with pirate movies. I watched every Earl Flynn movie I could, or anything pirate related. 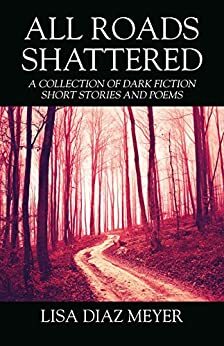 It wasn’t until I was older that I wanted to take that aspect of the dark ages, of how we treat one another, and introduce a world much darker, more sinister. Growing up I watched sci-fi, fantasy, and horror movies and I think I always knew I would combine them if I could. My love for shows like, “Charmed”, “Walking Dead”, “Buffy The Vampire Slayer”, and “Supernatural” helped me want to combine the genre as I got older. What was the initial idea behind this story and how did that transform as you were writing the novel? I know this is going to sound so lame but I had a dream when I was twelve about this girl standing on a dock at night in a storm overlooking three tall ships. In the dream she was so sad and she seemed distressed. I woke up and have never got that image out of my mind. That was the day the story started to develop in my head…the day Eve was born. It wasn’t easy because as I grew up so did my character and I found ideas along my life that I wanted Eve to experience. I also had to develop a writing technique that I didn’t have at twelve. I actually had a file that I would place ideas in until the day came to actually start writing it. When it did, well, the book was transformed to new ideas as I wrote. Eve is an interesting character that I thought was well developed. What were some driving ideals behind her character development? I wanted a character that was in the world but felt alienated as well. Giving her pale skin, unusual red hair, and a mark on her hand in the dark ages was like signing her death warrant. To have to be born with that stigmata helped set up the story line for Eve’s fears, and her long for social acceptance. Because of the lack of love she has been shown from Randall Cambridge, her grandfather, she feels like she is evil. Children often always blame themselves when adults do things, and Eve is no different. She even still tries to believe if she does what he wants she will win his love someday. Even though she is beaten down, she has an inner strength that won’t let her give up. I wanted a character that had to struggle with should I help these people even though they watched me get abused and didn’t help me? It would be hard for anyone to do that. I wanted to take her down that path and find out the answers. 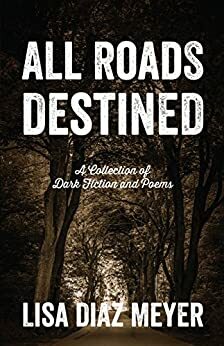 The Dark Age Chronicles has four books total in the series and are all out on Amazon.com paper back or Kindle and I am currently writing a new novel called Portals. The Dark Age Chronicles books in order: Eve of Darkness, Eve of the Hunters, Eve of Destruction and Eve of Battle. In 1717 it was a time of darkness,where stations kept to their own and people struggled to survive. A time where pirates still roamed the seas, slavery was suffered and ignorance reigned supreme. But there is coming a greater darkness that man can’t hope to fight A darkness that will consume every soul on earth. One young girl named Eve, born with a mark on her hand, outcast and abused, learns that she is the chosen one that must stop the rising evil. The last of a known race who protected the world, she must fight a horde of demonic hell hounds, demons, and her worst fears. Together with six others, she must learn to use powers she never knew she had if she ever hopes to defeat Nyx…. the most powerful Necromancer ever born. This is such an easy book to get lost in! I had so much fun reading this, I cannot wait to read the next book in this series. I have found a new love for these fantasy type books that create an incredible world that you can’t help but feel like you are a part of. The fact that this book had so many mythical components as well as incredible characters and a fantastic story line just makes it even more intriguing. 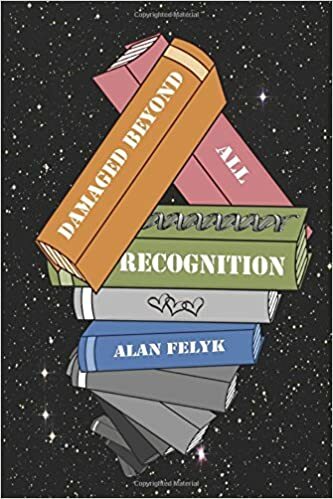 If you are looking for a book that speaks to you, one that makes you feel like you are a part of something, then this book is definitely one you are going to want to pick up. When Eve realizes that she is the light in the dark days, after being abused and treated like a servant all of her life, it’s incredible. 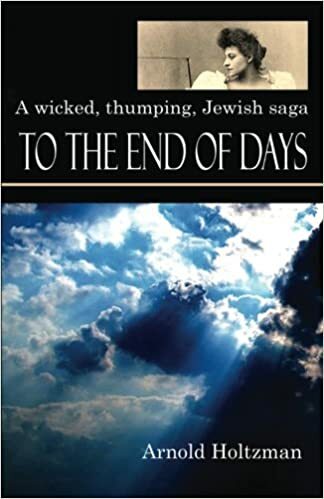 It was like watching an abused dog be taken in by a loving family, the way that the author describes the things that happen in this world, especially to Eve, it’s unbelievable, but you don’t want to put the book down because you are rooting for Eve to defeat evil. 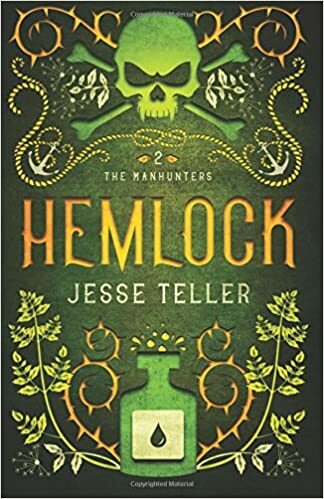 There are two other books in this series that I cannot wait to get my hands on, there are just so many elements of this series that I wish it were a movie, or television show. You watch this story unfold in front of your eyes, and it’s like you’re no longer reading, you’re actually there, taking part in the action yourself. That’s how you know you found an incredible book, when you no longer feel as if you’re sitting on your couch but rather in the throes of action. I definitely recommend this book to people who want some adventure, mystery and thrill in their stories. Eve is an incredible character, who doesn’t take any backtalk from anyone and is willing to put her life on the line for the good of mankind. Even though she is beaten down, and has been her entire life, she rises again and again to defeat the evil that has come to try and steal the life out of everyone around her. I cannot wait for you to read this book and love it as much as I did. 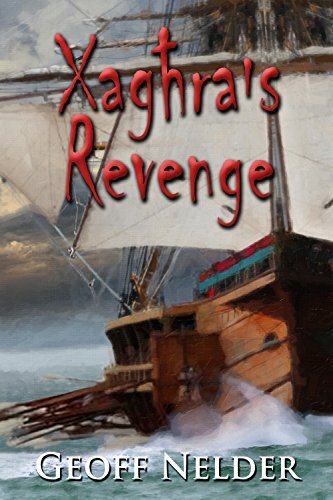 In Xaghra’s Revenge the past and present collide when paranormal forces seek revenge and force one couple to relive the past. What was the inspiration for this thrilling book? Malta is a popular destination for us Brits. It’s foreign, hot and sunny but the locals speak English! What’s not to like? 12 years ago I attended a multimedia presentation in Malta about its history. I gripped my seat to stop falling off when I learnt that in 1551 pirates savagely abducted the entire population of the nearby island of Gozo. Most became galley slaves, labouring slaves in Libya and the young women in harems in Constantinople. Those poor souls need revenge. I gave it to them in Xaghra’s Revenge. The other inspiration is a pile of old rocks in the Gozo town of Xaghra. The Ggantija Temple is one of the oldest buildings in the world. Older than the pyramids and Stonehenge. When I hugged them I felt a buzz. They told me to include them in that historical novel so I did. Reece and Zita are interesting characters that continue to develop as the story progresses. What were the driving ideals behind the characters development? I needed contemporary characters that were descended one from the pirates and one from the abducted. Oh what fun I had with them. A mumbling fart like Reece, who knew he had no luck with women and yet this great looker was interested. Thrown together by ancient spirits they were destined to be together, but of course like real life, nothing goes smoothly. Reece grows up quickly when one crisis after another trips him up, but he develops a backbone and maturity. 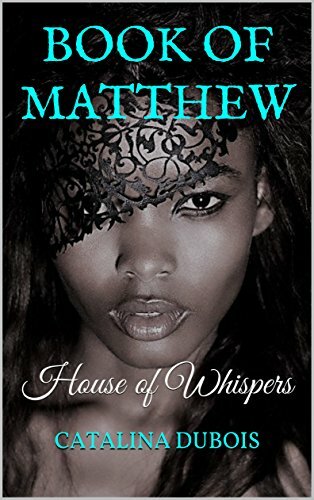 Zita gains experience but her womanly ways always were sophisticated and she is able to support the fakwit Reece on and off until she realizes she’s in love with him for real. The story is rich in historical detail. What research did you do for this novel to get the setting just right? I’m a sucker for research in whatever stories I write. I stayed at the Preluna Hotel in Malta and traipsed all over both Malta and it’s little island, Gozo. Over the limestone surface and below in people’s cellars, which often had caves complete with stalactites and stalagmites. Hours I’d spent in the Melitensia and other libraries in Malta, up to my elbows in ancient deeds, records and emptied coffee cartons. So grateful was I that I donated a copy of Xaghra’s Revenge to the library and the librarian shook my hand only last week in gratitude. All the geography in the novel is accurate. Yes, I crawled into Calypso’s Cave on Gozo, really hugged the Ggantija massive stones and stood inside an Ottoman galley – that one is in a North Cyprus museum at Kyrenia Castle. A few yards away I nearly fell over a stone grave and too my shock saw it belonged to Sinan Pasha, the Jewish Ottoman Commander at both the abduction of Gozo and the siege of Malta in 1565. During the writing I returned many times though only the once to Tarhuna, Libya, in order to smell the aromas, see the wildflowers, and meet the real people. I run a short story critique group. It forces me to write at least six shorts a year in between novels. The publisher of my ARIA Trilogy (scifi / medical mystery based on the unique premise of infectious amnesia) commissioned me to put together a collection of surreal shorts. I’ve called it INCREMENTAL because they all have an element of something getting smaller, or bigger. For example a noise the world hears one day getting louder by a decibel every day. A pothole appears in a Madrid suburb and doubles every day – without stopping. Do you know it would only take 46 days to swallow the planet, but it still doesn’t stop. There’s historical fiction in there too. 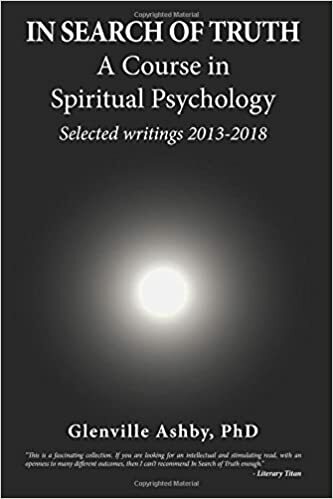 It’s being published by LL-Publications later this year. When Reece and Zita become lovers, past and present collide as the spirits of their ancestors force them to relive one of the greatest battles of the 16th century. Xaghra’s Revenge follows the fate of a sixteenth century abducted family, and of two contemporary lovers thrown together by the ancients. Reece and Zita are unaware that one descends from the pirates, the other from the abducted family. While ancient Gozo spirits seek revenge, so do the Ottoman Corsairs, who intend to roll back history, and this time win the siege of Malta. The history is real. The places are authentic. The tension and excitement are palpable. 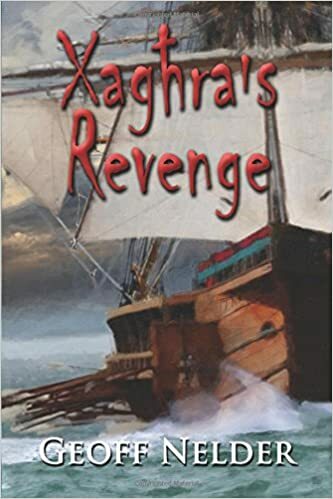 Xaghra’s Revenge by Geoff Nelder begins with a family on a Maltese island circa fifteen hundreds that is torn apart by a barbaric pirate attack. The pirates take the island’s people captive, split up families and destroy lives in the process. I was pulled in by the fine historical detail and the emotional human experience. 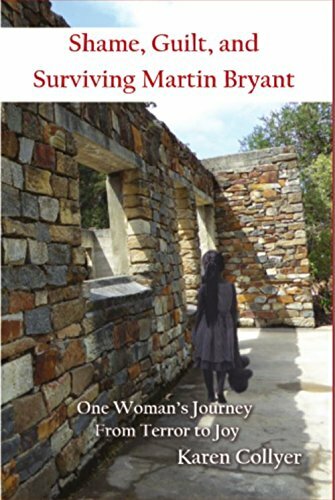 It starts as a historical fiction novel, but then you are catapulted into modern day where we follow two people; Zita and Reese. 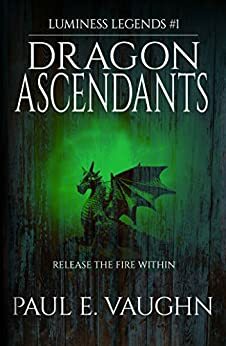 Paranormal forces bring these characters together and events they cannot control set them on a dangerous and thrilling journey that I enjoyed reading. I enjoyed Zita and Reece’s characters. They were multifaceted and well developed. Their love story, although a bit contrived, is emotional and believable once events start to unfold. 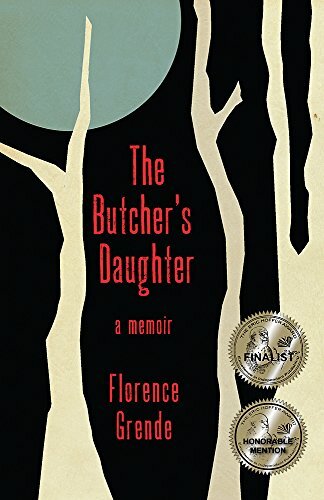 One thing that I really enjoyed about this novel, as I’m sure many historical fiction fans enjoy, is the depth of detail in the story’s setting and the experiences of those in the past. Reading about what happens to the captives is heartbreaking and really makes you feel as if they were real people, or at least these things could have happened to real people. I felt like I was reading a Dan Brown novel at times. 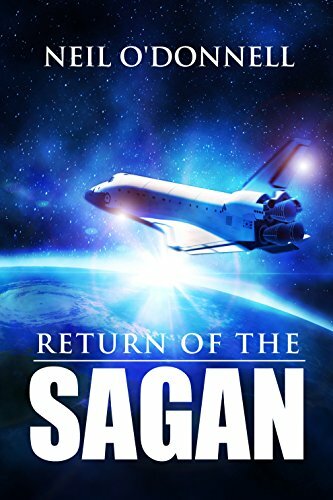 The descriptions were exceptional and I felt like the author really did his homework and has the technical ability to transport me to exotic places without slowing the pace of the book. When I review books I try to take mental notes while reading, but I often got so caught up in this book that I forgot to, and found myself several chapters in before I remembered. 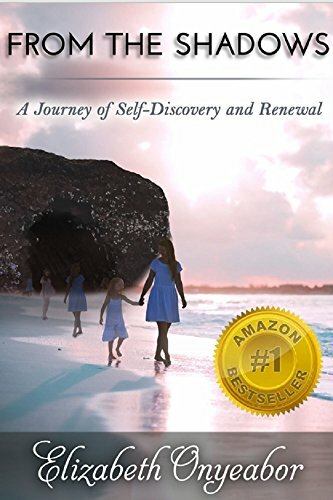 The connection between the past and present is not immediately apparent, and lends to the overall mystery and enables some fascinating plot twists. When the spirits of the past seek revenge, Zita and Reece are left with little choice, although they don’t know it. This novel was fun to read and getting swept away was easy. It’s hard to nail down this books genre; is it historical fiction, paranormal, romance, mystery? I think it does a magical job of blending all of them into one thrilling novel. 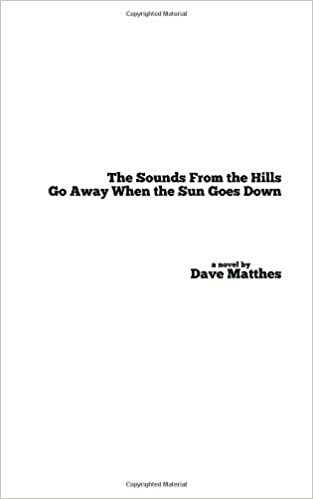 I highly recommend this book as it has one of the more unique plots that I’ve read this year. Set in Jamaica in the 17th century, this is the story of Arose Du Mouchelle, a young woman who is the heir to a sugar plantation. When she receives an heirloom from an old gypsy, her life suddenly changes. The Gem of the Red Spirit has powers that others wish to possess, including the Voodoo Priestess, Morel. Chased down by Morel’s henchman, Arose must now protect the world from the dark creatures that Morel is threatening to unleash from the Astral Plane. Will Arose succeed by using her wits and courage along with the help of the dashing Captain St. James? 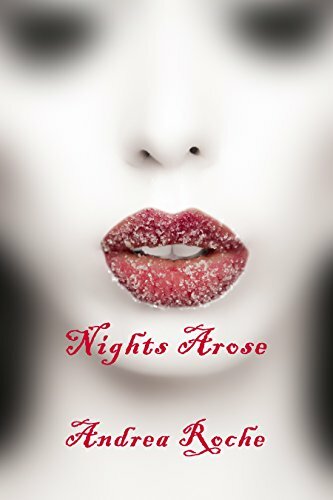 Nights Arose by Andrea Roche is part historical romance, part fantasy, and packed to the brim with fascinating and unlikely characters and concepts. We are thrown full throttle into a world unlike our own, full of astral planes, pirates and dragons. It makes for a fast- paced, exciting read, and I loved escaping to this fantastical universe for a few hours. Because the story moves at a quick tempo, I felt immediately drawn into the narrative. Unfortunately, this pace also caused me to get lost occasionally, and I would have preferred a slightly slower introduction to Arose’s predicament. 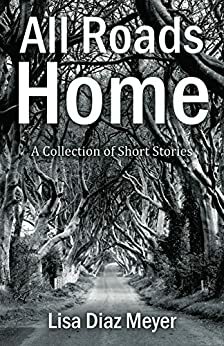 Despite this, Roche keeps the reader constantly intrigued and melds the genres of fantasy and romance together seamlessly, keeping both threads running through the narrative. Although the book has fantasy aspects, the dialogue is actually naturalistic and punchy. All of the characters have unique voices which add richness and emotion; the dialogue expertly moves the plot along and never feels redundant. The style of the prose is quite flowery, but I actually enjoy this style of writing and it suits the lavishness of the story. Roche writes place particularly well and the setting of the story is one of my favourite aspects of the book. Tropical Jamaica is vividly conjured. Although I have never visited, I could almost feel the warm breeze and see the sights and sounds of this exotic place with its sugar cane fields and blue water. We all know there aren’t enough strong female characters in fiction, so I fell head over heels for Arose! She is rebellious and brave and pushes boundaries, which makes her seem like a thoroughly modern woman. I loved the fact that she didn’t need a man to be a fully formed character and that the romance fell second to the action. The other characters in the book, such as the evil voodoo priestess, are really imaginative creations and the rest of the motley crew are excellently drawn. The relationships between the characters, especially Arose’s interactions with Captain St. James, feel truthful and authentic. 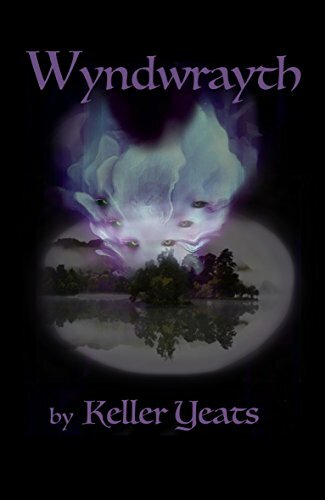 If you are a fan of fantasy then you will certainly enjoy this book. It is an epic tale that transports you to a magical world and enables you to suspend your disbelief. It left me breathless for the next installment in Arose’s adventures. 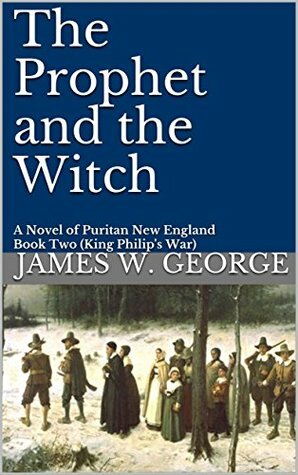 The Prophet and The Witch continues the story of Israel Brewster who is now a disgraced outcast when King Philip’s War begins. This is an intriguing setup to a novel that is high in social commentary. What was your goal when writing this novel and do you feel you’ve achieved it? 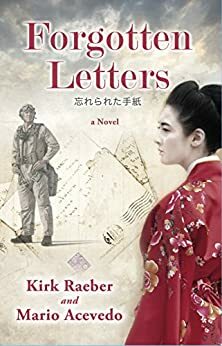 Regarding my goal, I initially wanted to write an engaging, historically accurate novel that would highlight a fascinating era that the casual reader was not familiar with. I don’t think this era gets nearly the attention it deserves, and I hope that changes in the near future. Hopefully, the book educates its readers as well as entertains them. So, yes, I think I’ve achieved my goal. Regarding the social commentary, I think different readers will derive different messages from the book, and that’s terrific. Ultimately, I hope the novel stands as a tale of courage, love, and friendship in the face of evil and violence. Israel Brewster continues to be an exceptionally developed character. What was your inspiration for his emotional turmoil through the story? Thank you for the compliment. I’m not sure there was any particular inspiration; I think there’s a little Israel Brewster in all of us. Whether it’s a question of religion, war, or alienation, I think everyone feels deeply conflicted at some point in their lives. What are the things, and who are the people that genuinely deserve our loyalty? More importantly, what makes us persevere in the face of unbearable pain, and what compels us to do the right thing? I guess, to paraphrase Faulkner, writers like to portray the human heart in conflict with itself. As a reader, it is difficult to pick a side in this battle. How did you balance the story to offer a contrasting yet similar worldview for the characters? It’s certainly not my intent that anyone pick sides in the conflict. I think the story is balanced by presenting the common elements inherent among both the English and the Wampanoag. There are virtues among both sides like faith, love, loyalty, courage, and family. Conversely, some characters on each side are prone to violence, hatred, and ignorance. So, I hope it is really a tale of love and brotherhood versus evil and wickedness. Ultimately, I can only hope to present a factual novel and let the reader draw their own conclusions. King Philip’s War was one of the most astounding and tragic chapters in American history, and it doesn’t deserve to be ignored and forgotten. I understand this is the second book in a possible trilogy. Where do you see the story going in book three? I can see us moving about fifteen years into the future. There was yet another fascinating war in New England during that time, and the remarkable Benjamin Church played a major role in that conflict as well. And evidently, in 1692, there was some kind of kerfuffle in Salem that got everyone all excited. If you thought New England was dull in the 1670s, get ready for a history lesson. In the critically acclaimed “My Father’s Kingdom,” debut author James W. George transported his readers to 1671 New England, and the world of Reverend Israel Brewster. It was a world of faith, virtue, and love, but it was also a world of treachery, hatred, and murder. Four years later, Brewster is a disgraced outcast, residing in Providence and working as a humble cooper. Despite his best efforts, war could not be averted, and now, “King Philip’s War” has begun. The rebellion is led by Metacomet, known as “King Philip” to the English colonists. He is the tormented son of the great Massasoit, and leader of the Wampanoag nation. Once the most reliable of Plymouth Colony’s allies, they are now the bitterest of enemies. Meanwhile, Metacomet’s mysterious counselor, Linto, despises this war and will do anything to end the bloodshed. Meticulously researched, “The Prophet and the Witch” is a tale of hope and brotherhood in the face of evil and violence. It features the remarkable cast of fictional and historical characters from book one, including Josiah Winslow, Linto, Increase Mather, Constance Wilder, and Jeremiah Barron. 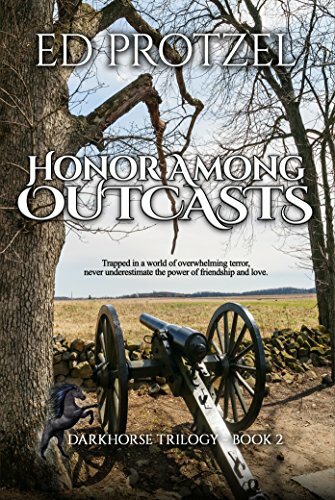 Additionally, new characters such as America’s first ranger, Captain Benjamin Church, bring this chapter of history to life like never before. Just One More Step and . . . Splash, You’re in Love… For hapless writer Michael Thorn, falling in love is like walking the plank—where passion moves you to the edge or anxiety freezes you where you stand. He pens a best-selling romance novel intended to win back the love of his sweetheart. While at an uneventful book signing, he disrupts the attempted kidnapping of Lacy Wells, a feisty playwright whose family holds the missing portion of a treasure map drawn on the back of an ancient Chinese scroll. 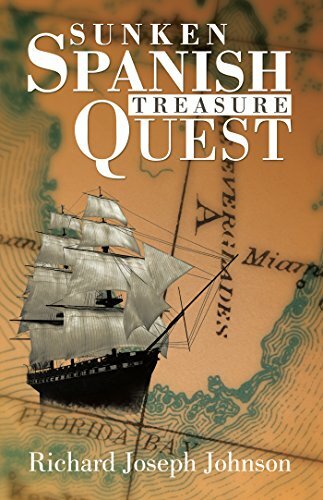 A rollicking race to claim the lost map finds Michael and Lacy teaming up with freedom fighter Xaing Sun, while matching wits with a blood relative of Blackbeard, the pirate, who is conspiring with the merciless Ministry of State Security. 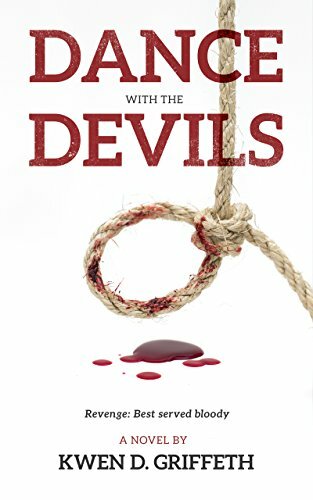 Wild events unfolding for Michael and Lacy are dismissed as publicity stunts by the local police; the national news and FBI have them tangled up with international theft; and the tabloid paparazzi can’t get enough of the celebrity couple of the summer. A beautiful assassin, tough rodeo cowboys, and a posse of old ladies add to the fun and excitement that help push Michael and Lacy closer to the map…and closer to each other; despite images from his past that are preventing Michael from taking that fateful step off the plank. 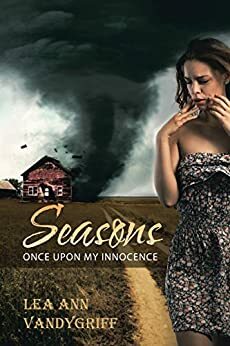 As the pieces of the map come together, Lacy has one chance to prove that she read the book, took notes along the way, and learned from the man who wrote the ultimate book on love. With romance, hilarious hijinks, and utter mayhem, Walking the Plank delivers an entertaining yet deeply satisfying journey through the mysteries and loyalties of the human heart.